Constructed with Wilsonart high Pressure Laminate with matching 3 Mill edge. Legs are Panel base construction. 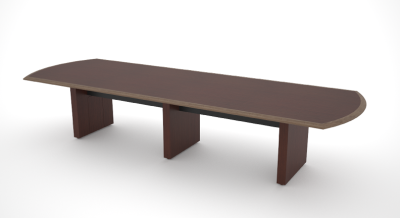 Tables up to 120" in length have a one piece top with 2 panel base legs. Tables 144"L and up have a two piece top with 3 panel base legs.